Monday afternoon's first plenary session featured Paul R. Weissman (JPL/Caltech), whose invited talk was entitled "Back to the Beginning: The Rosetta Mission at Comet 67P/Churyumov-Gerasimenko." 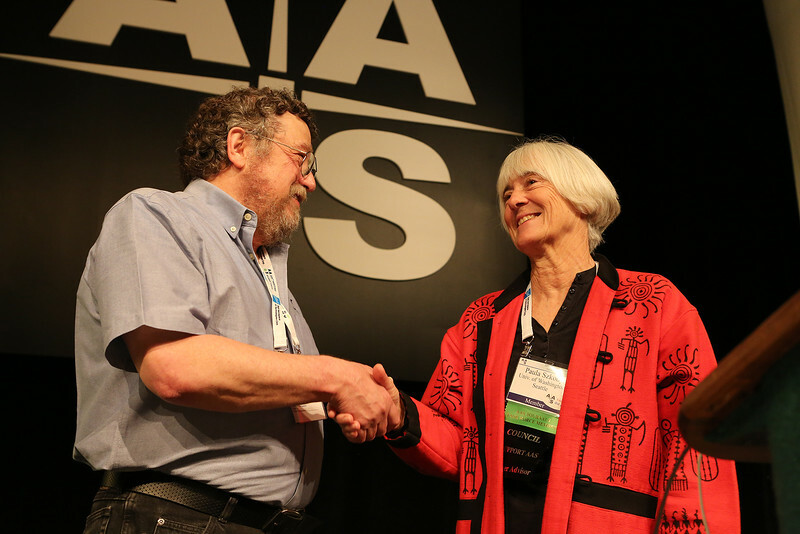 Weissman was introduced by AAS Vice-President Paula Szkody (University of Washington). Paul R. Weissman (JPL/Caltech), whose invited talk was entitled "Back to the Beginning: The Rosetta Mission at Comet 67P/Churyumov-Gerasimenko" was introduced by AAS Vice-President Paula Szkody (University of Washington). AAS photo © 2015 Joson Images.